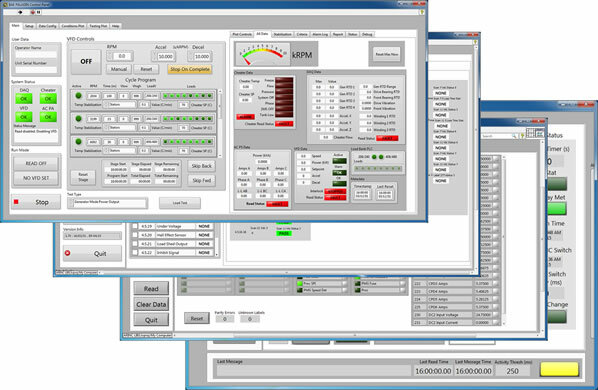 Let us design your networked instrumentation and UI/HMI. Reliable instrumentation for the 21st century. Web-connected Industrial Control Panels for brewery and custom applications. 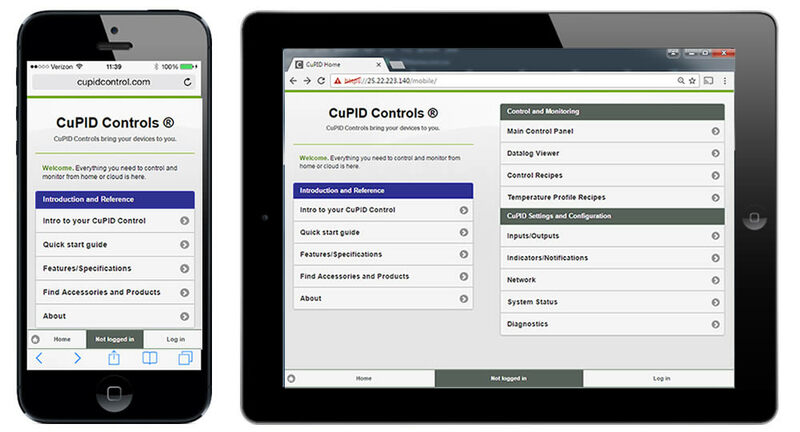 Access from desktop and mobile devices via our CuPID Controls platform. We can design and build your custom acquisition, analysis and presentation solutions, bringing data to your fingertips, wherever you are. It's a PLC. It's a temperature controller. It's a home automation and monitoring hub. It's a general purpose DAQ. With CuPID Controls, it's all of the above. 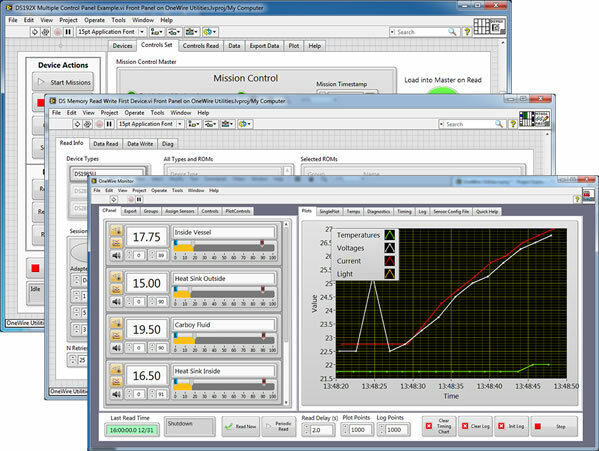 Let us develop your next LabVIEW application. LEDs, solar, optical, monitoring, data analysis, databasing, web monitoring, with LabVIEW development and RunTime solutions. Whatever your sensor, we can integrate a control solution for you. With One-Wire® and LabJack® toolkits and packaged driver code, we get you acquiring quickly. 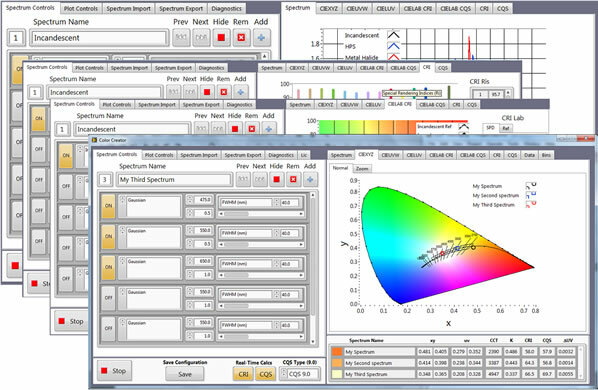 Our ColorTools package provide CRI, CIE, color gamut (e.g. REC2020), and many other spectral analytics. Fast enough for inline tools, with a complete offline analysis suite. We build control panels with industrial components that integrate the reliability you expect, with web-interfaced technologies of today. Touchscreens, PLCs, and web interfaces are our specialty. We know the industry, the product, and the process. We build panels that leverage our controls expertise with real-world brewing experience. Your acquisition and control needs are our pleasure. We have experience in all manner of industrial controls: PLCs, touchscreens, web interfaces, sensor IO and data acquisition are our bread and butter. We have a Certified LabVIEW Developer on staff, when building license-free, UI-centric instrumentation quickly is key. Our CuPID Controls network interface system is the gateway to the world for our control systems. A single-board linux-based computer, it packs a number of interfaces, such as OneWire, I2C, SPI, and Modbus TCP/IP into a small package with a battery and UPS. RF Models are available for wireless connnectivity to remote IO modules, panels and sensors. Get your projects off the ground by outsourcing the dirty work. We'll get your devices talking and you acquiring as soon as humanly possible, and leave you with clean, well-documented code to build on moving forward. Let us build you a library -- or take advantage of our prebuilt packages. expect, with web-interfaced technologies of today. Touchscreens, PLCs, and web interfaces are our specialty. Our LabVIEW OneWire Utilities toolkit will get you instantly connected to and identifying all Dallas/Maxim OneWire devices. Take the pain out of using one of the most exciting multi-drop sensor technologies available. The LabJack is a fantastic, low-cost DAQ suitable for nearly all digital and analog input applications. 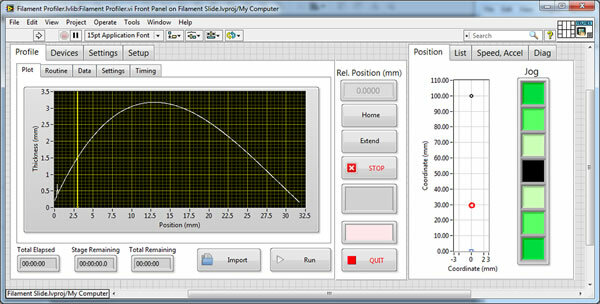 ColorTools Standalone executable and installer offers all of the analytical functionality of our LabVIEW toolkit, without the need for the LabVIEW Development environment.